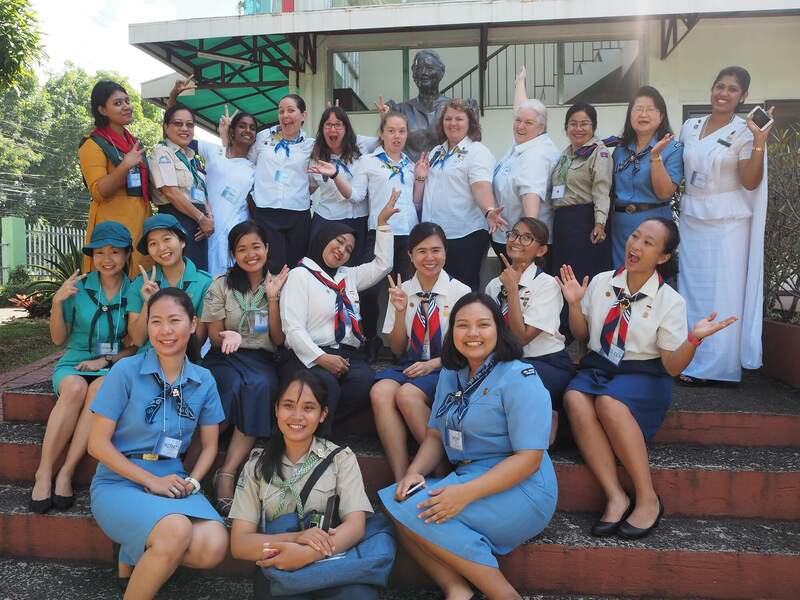 Girl Guides Australia is calling for applications for the Asia Pacific Region Conference to be held in Sri Lanka in 2019. Participation in the AP Conference is a great opportunity to represent Australian Guiding at the world level. As part of the team representing Australia, you will be asked to work together to put forward positions and ideas for the growth of our movement in the AP Region. Delegates will contribute and attend various skill and plenary sessions at the conference and will be able to develop a strong Guiding network across the AP Region. Australia is able to send a team of five – two delegates and up to three observers – to the Asia Pacific Regional Conference. Airfares and conference fees for the Australian Delegation are paid by Girl Guides Australia. The Chief Commissioner will lead the delegation. Completed nominations on the application form (ADM 4D) should be sent to the National Office by email to applications@girlguides.org.au by Friday 21 December 2018. Together with the written application nominees are asked to provide a short video of them self-explaining their understanding of the Asia Pacific Region in WAGGGS and the role Australia plays in the Region. The video should not exceed three minutes in length. We can accept a wide variety of formats including MP4, WMV, MOV, AVI etc. The video can be sent as an attachment in an email with the nominations form. However, if the file size of your video is very large (above 20MB) it may be easier to send it by WeTransfer (a free online service for sending large files). GGA is also seeking expressions of interest from suitably skilled and experienced individuals for the Asia Pacific Regional (APR) Committee. Members of the APR Committee are elected at the APR Conference. The main purpose of the Regional Committee is to set and implement the strategic direction of the Region and to provide support to Member Organisations in the development of quality Girl Guiding/Girl Scouting. Expressions of interest should include why the applicant would like to become a member of the Regional Committee, and how they feel they can contribute to the work of WAGGGS. Expressions of interest should be sent to the National Office by email to applications@girlguides.org.au by Friday 21 December 2018 and should not exceed 300 words. Successful applicants will be notified by the beginning of March 2019.